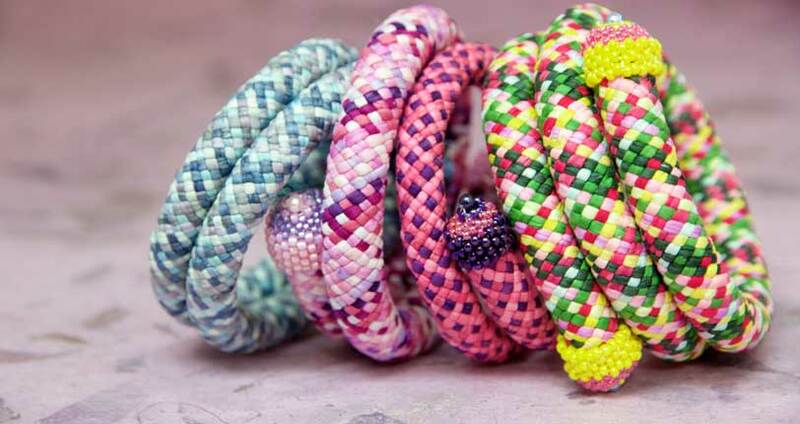 The literal translation of kumihimo means the “coming together (kumi) of threads (himo)”. In samurai times, Kumihimo was used extensively for wrapping sword handles for a better grip, and also to make armor for horses. Kumihimo was introduced to the Western world in the 20th century. While you may have never heard of kumihimo, it is quite popular in the beading community. In fact, it is one of the most popular classes I teach at Let’s Bead! There are many different kumihimo braids, some more complex than others. I’ve made braids with as few as 8 cords, and as many at 16 cords, but some braids are made with many more. In the photo below, I’ve created a coiled bracelet of silk strands with the edo yatso kumihimo braid (basketweave), and finished the ends with peyote stitched endcaps. 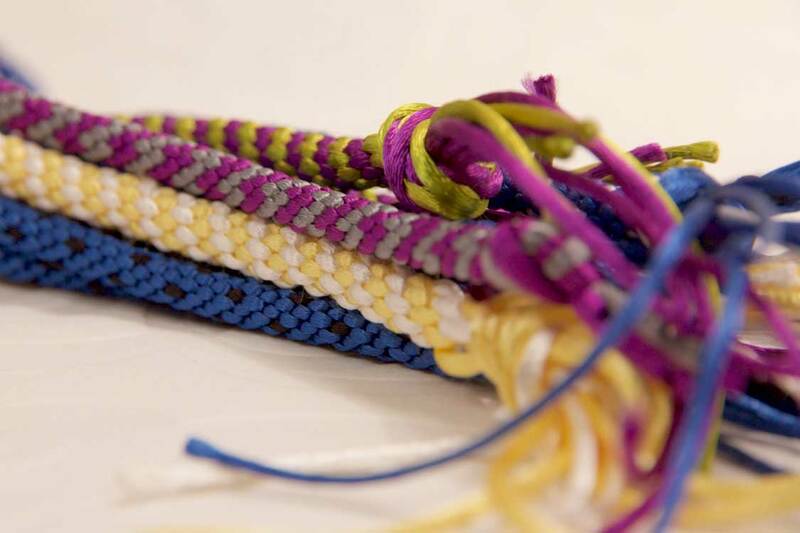 Browse the Kumihimo samples in my Portfolio to see just a few of the possibilities!